Last week, whilst speaking at Middlesex University, Ken O’Keefe launched into what we feel was an undeniably anti-semitic rant. Unfortunately, Middlesex University Free Palestine Society have as yet failed to come out and condemn his remarks, forcing us to publicly condemn O’Keefe’s comments. Many people, including us, admired Ken O’Keefe’s anti-war, anti-imperialist stance on the war and occupations of Iraq and Afghanistan, and his bravery in the face of Israel’s murderous attack on the Mavi Marmara aid ship to Gaza. However, none of this can excuse the unacceptable nature of his comments last week. On his recent tour of UK universities, Professor As’ad Abu Khalil (aka the Angry Arab) rightly asserted that “the cause of Palestine is too important, and too precious, to be tainted with anti-semitism.” Professor Abu Khalil is of course correct, however we abhor anti-semitism not only for the damage it could do to Palestine solidarity activism, but because like all forms of racism it is immoral, inhumane, and grotesque. We stand against all forms of racism, including Zionism. We are proud to be part of the struggle against Zionism, and part of the the ever-growing global civil society movement against the apartheid state of Israel and its inhumane treatment of the Palestinian people. We note that the Palestinian struggle for freedom, equality, and return brings together people of all ages, religions, ethnicity, social backgrounds, ideologies and nationalities, united in their commitment to fighting injustice and racism. We believe that the student movement here in the UK has become very strong because it reflects and upholds these beliefs and values. We believe this is reflected in the phenomenal success our groups have had in aiding the growth of the BDS movement here in the UK. It is therefore vitally important that we allow no opportunity for anti-semitism, along with all other forms of racism, to enter our groups or campaigns. Supporting the three aims of the Palestinian call for BDS; Ending the Occupation of all Arab lands seized in 1967 and dismantling the Apartheid Wall, granting full and equal rights to Palestinian citizens of Israel, and recognizing and facilitating the Right of Return of refugees as enshrined in UN resolution 194. Recognising our responsibility as advocates/representatives of the Palestinian cause and BDS movement on our campuses, and respecting the great sacrifices the Palestinians have made in their resistance: sacrifices we do not have to make. Challenging and combating all forms of racism,in and outwith our campaigning both on campus and in our communities, including anti-semitism and Islamophobia. In line with these principles, we wish to openly state that Ken O’Keefe is not welcome to speak on our campus. We urge Middlesex University Free Palestine Society to distance themselves from his comments, and condemn them as anti-semitic. We invite our fellow student Palestine activists to add their societies names to this statement. personally I feel that criticising current Israeli policy is not just correct but necessary. it is a single issue campaign – free Tibet campaigns also exist focusing on just one state – and as such of course it doesn’t make wider statements about eg north Korea! as a Jewish Activist for peace and justice in israel/palestine I was incredibly relieved that my confidence in local Palestinian groups has once again proven justified. I feel that these guys are willing to stand up and have my back, and are genuine that antisemitism has no part in their movement. Ken O’Keefe blamed all Jews for what the Israeli government is doing. he disregarded, erased, the work of Jewish activists in Israel and the diaspora. in my opinion as a Jewish person with a pretty thick skin, he stepped way over the line – he moved from legitimate criticism of Zionism into antisemitism. thank you to all those involved in writing and signing this statement. by standing committed and vigilant against antisemitism you have made true and solid bonds of solidarity with Jewish people who oppose Israeli apartheid. 2 of or relating to the peoples who speak these languages, esp. Hebrew and Arabic. Your lack of linguistic knowledge or more likely participation in the abuse of language with regard to this word is not surprising, especially as it becomes more obvious that the so-called ‘Palestinian Solidarity’ movement is rife with infiltrators and subversives posing as friends and allies of Palestine. As the saying goes, ‘with friends like these, who needs enemies’. The truth is that my actions, and my words are those of a person unafraid of the political correctness traps to which you seem to have submitted yourself. You might well call me an “anti-American hate monger” and imply that I paint all Americans with the same brush when I have repeatedly called the United States the “greatest terrorist of the 20th and now 21st centuries.” But I have never seen anybody suggest I be banned from speaking for having stated these words. But alas, speak the words deemed taboo by the thought police and one becomes unworthy of speaking at all. Think of how incredibly holier than thou and up your own arse it makes you sound when many if not all of you, do not have a Palestinian wife/husband, or Palestinian children, who have likely never been to Palestine, certainly have not risked nearly as much as I have in defending Palestine, say that I am unworthy of speaking about Palestine or any other issue in universities where I can assure you, many people would be happy for me to speak. The arrogance and hypocrisy is quite simply over the top. To put things in perspective, just over a year ago I was presented the Key to the City of Gaza by the last elected Prime Minister of Palestine, I guess I will have to settle for that instead of your approval. As if my words in the above speech were not clear, let me repeat, I seek the destruction of every government and institution that is actively participating in the destruction of our world. Some being so corrupt and vile that there seems little to no chance in them being reformed, I include the US, British and Israeli governments in this category, along with the United Nations. All of these entities are vile and disgusting and are taking us straight to hell on Earth via World War III. Let me be clear however, I do not give a free pass to the crimes of all the other corrupt, racist and violent entities and governments out there. I simply recognize the obvious, in terms of total destruction and suffering, the entities I reserve my greatest scorn for, specifically the so-called ‘western civilisation’ I come from, represents the gravest threats we face in this tragic world of ours… we are in truth, barbarians. As much as you seek to censor me or ban me, all you have really done is expose yourselves and a significant problem facing the Palestinians and everyone else genuinely involved in the struggle for justice. That problem is the false allies of truth and justice, the subversives posing as friends and the dupes to blind to know how much these characters are manipulating them. The direct enemy is plain to see, a more honest enemy, and in this regard I respect this enemy more than the western “liberal” dupe who is either so full of himself, or so corrupt, that he is blind to the traitor to humanity role he plays. In the 1964 presidential elections, when the US presidential candidates were Lyndon B. Johnson (the “peace” candidate) vs. Barry Goldwater (the “war” candidate), Malcolm X exposed the deceit of this phony distinction. This is my perspective, you, the thought police and false allies of Palestine, which can even include people with Palestinian blood, are the ones attempting to provide cover for the tyrants by prohibiting meaningful deliberation into matters that are of the most critical importance to our world. A stark example of this is the Jewish supremacism that is of dire consequence to our world. This is the taboo subject you are charged with enforcing, and in doing so you take sides with the same racist, supremacist ideologies you claim to oppose. I am proud to be opposed by you, I shall wear your Scarlet Letter as a badge of honour. I depart by saying that any group of people, whether it is the disciples of Hitler, the Christian Zionists of America or the Jewish supporters of Israel, or the brainwashed false Muslims, I say loud and clear, any group that believes they are “chosen” by God and thus superior to anyone else, is an enemy of all humanity. Combine this sort of supremacist ideology with the power of America and Israel and we have a recipe for the end of the world. The stakes could not be any higher, and you, my poor, poor minions, are on the wrong side of history. You are not the friends of Palestine or justice, you are the guardians of tyranny whether you know it or not. David Evans, please don’t pass generalized assumptions. Firstly the assumption that all Germans ignored the Nazi crimes is not only inaccurate but incredibly offensive. Yes there’s no denying in the beginning they did elect Hitler into power, however as his policies became more and more murderous and he became genocidal, the Germans started to abhore him. Let’s not forget many of Hitler’s closest associates tried to assassinate him, but they failed and they paid for the consequences. Hitler has not only killed 6 million jews and 6 million polish, romas, gays, and handicapped, he also destroyed the german economy, destroyed germany, and started to draft 14 year old boys into the army, getting lost in the battle. It was a totalitarian state and anyone who did speak out paid the price for that. So please don’t be ignorant and say the Germans just gladly let the massacre happened. It is grossly offensive to any German or of German descent who has heard horrifying story of hitler’s regime. Secondly, saying that Jews are not doing anything against the zionist regime is also false. During the Gaza Massacre, many, and I do MANY jews and Israelis spoke out. Several Israelis that I personally know ripped up their passports because they did not want to be Israelis anymore. Migration from Israel is more than immigration to Israel, so that tells you something about how they do not want to be part of the regime anymore. Furthermore, there are many, and I do mean many NGOs that document human rights abuses daily, many of them are Jewish and Israeli activists. 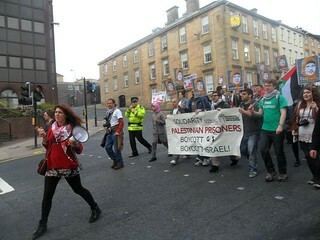 Many go out to protest every Friday against the wall, and many have also joined the BDS movement. By saying they are not doing enough and equating them to the Nazis, is not only alienating but very offensive as well. And I am saying this as a German-Palestinian. And honestly, that man should not be speaking on behalf of the German citizens or the Palestinians. If he wants to rant and express his opinion, then let him be, but he is no ‘truth bearer’ to me. i agree with the PSC , and i would hope that mr keefe would quit making a name for himself on the back of the Palestinian cause,or any other . okeefe is a liabilty ,he should fk off back to america. I hope maybe we may meet in the future to discuss this issue further. However, for time restraints, brevity is necessary. I do not entirely agree with this accusation that Ken O Keefe is making a name for himself on the backs of Palestinians. I feel this statement detracts from Palestinians and the Palestinian cause. 1) It is a natural aspect of every movement for struggle. We may see the same in the African American struggle for freedom and civil rights. When David Walker wrote “An Appeal to the Coloured Citizens of the World” , a vehement diatribe against slavery, the response was the request by the State of South Carolina for extradition of this man. When the state of Massachussetts refused, some have made this claim with circumstantial evidence including David Walker himself predicted his demise as a result of his pamphlet, he say was poisoned. Imagine if a Palestinian wrote a diatribe against the US and spread it throughout a geographical region to a western audience like David Walker. My guess would be that he would be the immediate target of not a COINTELPRO operation, but the target of incarceration or assassination by a drone justified by a loose and false accusation that this Palestinian author had ties to a known terrorist. It is without doubt that those of the oppressed who voice their opposition to injustice are normally dismissed as bias and should not be listened or treated respectfully by the people of an oppressor, mine and Ken’s own people. Therein lays the influence of such greats as William Lloyd Garrison, Thomas Paine, and John Quincy Adams. They were of the people who were the oppressors. This fact, made others turn their heads in disbelief that one of their own kind was adamantly opposed to an their own system and policies. It is the same phenomenon we see of Jewish activists who publicly oppose Israel’s actions. We love them!! This tactic brings an equal amount and sometimes more attention to a cause than a voice from one of the oppressed such as David Walker, calling for slaves to “Defend” themselves by revolting against slavery. Walker is considered the very first abolitionist who called for immediate and unconditional emancipation. However, Garrison is recorded in the history books. My belief, BOTH deserve the same respect for the same cause!! Their methodologies may differ with one’s inclination to support or disagree with certain beliefs of theirs’, but at the end of the day, we are fighting the same monster with different methodologies of how to cut its tentacles over Palestine. Ken O Keefe is not calling a bugle call for violence. On the contrary, he is calling for a raising of the the rhetoric to recognize truths of this whole conundrum in the Holy Land. The truth is all he asks! Now ask yourself in comparison to Garrison’s own comments on Walker who called for slaves to rise and use violence to end slavery, is the condemnation and denouncements against Ken O Keefe comparable? Did Dr. King Jr. make such condemnation and denouncements against Malcolm X or did the former tersely state he did not agree with Malcolm X. The alacrity and emotionalism involved with the criticism of Ken demonstrates we have people who have yet to understand nor embrace the mechanics of struggles in history and what it takes to make a change despite a powerful opposition of continuous indoctrination by education, religious institutions, media, etc. 2) I think the accusations against Ken O Keefe that he is riding the back of the Palestinian cause can equally be charged toward every individual who is not Palestinian, or organization that is not comprised of Palestinians, who wear a shirt on their own backs to bring AWARENESS to the Palestinian cause. Perhaps all of the members of the sole lobbyist group in America for Palestine, the AAPER, are guilty of that which you charge Ken O Keefe? Perhaps anyone who utters Free Palestine or posts Palestinian related material on Facebook is equally culpable. Let us not abscond from the truth here. Embrace it and replace the hatred and animosity with love and understanding. Let us also remember that what one says and does are two different things, unless we are willing to whole-heartedly believe Israeli leaders such as PM Golda MEir who said Palestinians are not a people, implying all of Palestine will be Israel (Unfortunately this seems to become more of a reality the more and more we bicker amongst each other). 3) If you were to state that the difference between Ken and others of the AAPER is that those of the AAPER deserve to wear that shirt because they have actually done something for Palestine as the usual hardline critics of Ken shout, then I answer with a tale from my own prophet, Mohammed (PBUH), who once told one of his own after slaying a combatant soldier after refusing to believe this soldier’s please to Allah, paraphrase by the prophet (PBUH) “How do you know he did not mean it? Did you cut his heart out and see his intentions?” The prophet (PBUH) repeated this 3 times to his own disciple. Are you prepared to cut Ken’s heart out to show the world his intentions? And what will be your sacrifice if you were to do this and found it innocent? We have more problems to address. More teamwork to augment and buttress than silly little arguments of condemnation against a person who is being honest rather than careful of what he says. Therein lays the real antipathy toward Ken and we are all not fooled by this fact. Let us not forget what happens in Plato’s Allegory of the Cave to those people who attempt to show reality past the shadows people have been so accustomed to. There are moments in every movement for change to decide tactics. Even African Americans had meetings and conferences about these issues. There were arguments between those who supported the use of non-violence and those who supported violence. Nevertheless, BOTH sides met to speak about it and neither ostracized the other!! Let us also rememebr that it was Frederick Douglass’ speech that convinced abolitionists by ONE VOTE that violence was not the answer against slavery and Douglass never refused to meet in any conventions because of the presence of proponents of violence. My last point I want to make is, we are NOT dealing with something similar to the African American Civil Rights Movement. We are not asking for equal rights and simultaneously we are. We are dealing with a people who are being ethnically cleansed from their homelands little by little as we argue. If the Israeli regime were to allow ALL of the Palestinians to remain within the borders of Israel, then we would be talking about a civil rights issue. On the contrary, we are talking about something more vehement and atrocious, we are talking about a people whose natural right to own their own lands and to pursue happiness and to live without being punished by death for the actions of a few others with the same ethnicity and religion. We are talking about something nearly as horrid and infamous as slavery. All societies of England, if they have any REAL understanding of this conflict, if they respect humanity without any reservations of humanity or bias, and if they are of moral and ethical soundness, should allow and support Ken’s right to speak at their universities and to their audience and not constrain or prevent it. I ask those societies who have made this nefarious tactic of condemning Ken to not only grow up, but reconsider your actions before history records them as a pattern of foolish and callous opposition to a human-being’s thoughts and voice and as a tactic of the same methods of our own antagonists, silencing dissent. Shame on the GCU Palestine Society!! Utterly disgraceful using the same tactics as the murderous Zionists. In America, Kent University was the symbolism of people who were slaughtered and killed for protecting the rights of Americans to congregate and voice their opposition to oppressive policies. How diametric an example across the Atlantic Ocean! Silence dissent!! We’ve deleted most of the posts as the thread had just degenerated into a mud-slinging contest and frankly we’re too busy to engage in this kind of thing. I work two full time jobs and volunteer my time for Palestinian students. I have time to engage in this. Why? My respect for truth and fairness and my love for Palestine coerces my body to make such sacrifices. How much do you love the truth? To all you passionate Zionists and Ken O’Keefe fans..we are approving no more comments, we initially removed Ken’s post but in retrospect accepted this as unrepresentative of the response the statement made. Whilst you guys are still talking about this we have only time for action and have been busy mounting solidarity actions for Hana Shalabi and the Palestinian hunger strikers. We are not the greatest or most perfect activists in the world but we do our best and our efforts have been greatly appreciated by our peers, the Palestinian youth, it is from them we accept criticism and only them. Are you terrified that Egypt under a democratically elected President is upsetting the Palestinian pie-chart? Think of all those pay-checks on the West Bank that are facing an existential threat. The two-state solution is in jeopardy! I think Mr. O’Keefe’s attitude seems to be mine: if someone is just muddling around, you might as well ignore them. The heart of this issue is the need for Jews to decide what Israel is supposed to be. If they had that discussion, I think they’d decide that it is not an otherworldly psychodrama but an actual attempt to gain security for persons and heritage, and that these goals can only be achieved under a secular state which, in the case of Palestine, will be non-Jewish in its majority. So say that only Palestinian youth can judge Palestinian politics is like saying only Jews can judge what is in the security interests of Jews. It begs the question: who gets counted as a Palestinian or Jew? That is exactly what a civil rights regime avoids. You want to talk? Talk, even if you are a Palestinian or a non-Jew or an ex-US-Marine, or even if you are not. It doesn’t matter. The highest religious idea is that we are all in this together. If you need a reminder on that, watch Israel and Egypt in the coming days. Ken did not say anything that was anti-semitic, and to describe what he said as an ‘undeniably anti-semitic rant’ demonstrates a lack of understanding of what he was saying. What he said was that just as Germans did not do enough to resist the Nazis so Jews do not do enough to resist Israeli oppression of the Palestinians. I think that it would be fair to say that Ken made a fierce and provocative statement which appeared to accuse Jews of moral apathy. You may believe that that is an unfair and unjustified claim but it is not anti-semitism. Anti-semitism is fear and dislike of Jews because they are Jewish. A true anti-semite would never dream of exhorting Jews to resist evil and oppression, because for such a person Jews themselves are the embodiment of evil and oppression. Ken’s exhortation to Jews to do everything within their power to resist Israeli evil and oppression implicitly express the belief that Jews are capable of behaving in a morally courageous manner (at least when they finally wake up from their moral slumber – in his view) and in this sense were the precise opposite of anti-semitism. That doesn’t mean that you have to agree with Ken. You could argue that he is being unfairly demanding of Jews. That would at least be a sensible criticism that at least demonstrates an understanding of what he was saying. You might also believe that his statements were injudicious and potentially counter-productive in that they could be deliberately construed as anti-semitic by people wishing to discredit him and the Palestinian cause (and I would have some sympathy for both of those criticisms). But please don’t do their work for them by timidly describing something as anti-semitic that is clearly not! I personally think that it would be reasonable to expect Middlesex University to make some qualifying comment after Ken’s speech. Perhaps to the effect that they might not choose to express their views in exactly the same way as him, and that whilst they were grateful to have him as a speaker it should not be assumed that they shared all his views. That would have been a sensible and proportionate response on the part of the student group there. If you wanted to ask the group at Middlesex to make such a statement I would broadly support you; but to try to get every student Palestinian Solidarity society in the country to make a pledge not to invite him to speak is a totally over-the-top response! You certainly do not speak for me, as a member of the Southampton branch of the Palestine Solidarity Campaign, and I would invite you to retract your statement in favour of a more nuanced and sensible response. Firstly let me state that i find it staggeringly hypocritical , that any uni. of any state , county , country , city or town , in any nation of the world , would find itself’ above’ hosting free discussion or debate , with any man prepared to stand squarely, stoicly, and primarily on his own. Against the unjust bulldozer that is the Israeli state policy regarding the disenfranchised , and brutalised palestinian people. Would these same universities that are boycotting Ken O’ Keefe boycott Tony Blair, Bush( baby or pop). Obama or Netanyahu ? All alleged war criminals and sociopaths. No , the answer is a catergorical no, the same universities that are boycotting Ken O’ Keefe , would welcome the aforementioned alleged war criminals to speak in their hallowed halls of ‘Learning and Enlightenment’ with open cheque books ! And this fact alone shows how profoundly insidious is the nature of power through money, by the powers who control that money(World bank, IMF, FED, multinational corporations and BigPharma, (read Banks, IMF, FEDRES, again for the last two,etc). I for one, take my hat off to Ken O’ Keefe and all men and women of his ilk. Lets all hope more and more of them take to the stage to fight the injustice and corruption , war and legalized terror that is presently threatening to prematurely bring down the curtain on all of us. Well done mate. Your an inspiration. BDS motion supporting NUS campaign against Eden Springs & Veolia passes. **EMERGENCY DEMO** Support Hana Shalabi! Support the Palestinian Hunger Strikers!